Rupee taken recovery and close above 60.93 with gain of 25 paise, before RBI credit policy currency strong than dollar. 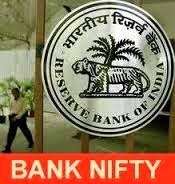 up side 7705/7734/7763 and down side 7660/7643/7611 , buy above 7700 as trend of nifty tomorrow. It is very informative for us.Thank you..Keep Posting.